Comments for Backcover Copy[Viewable in GHEPM only]Post a Comment Longman Keystone is a multi-level program designed for English learners and struggling readers whose academic achievement is two or more years below grade level. Through explicit, intensive, and focused instruction that accelerates students' language acquisition, reading comprehension, vocabulary, and oral and written communication skills, students will quickly begin achieving academic success and be better prepared to transition to mainstream coursework across the curriculum. Longman Keystone blends rigorous, research-based reading and language skills instruction together with a balance of content-area readings and age-appropriate, high-interest literature. In addition, this series incorporates the focused and purposeful instructional principles of Understanding by Design, which allow students to demonstrate their understanding and mastery of skills through multiple formal and informal assessment opportunities. Through this process, students will be equipped with the key transferable academic skills necessary for lifelong success. 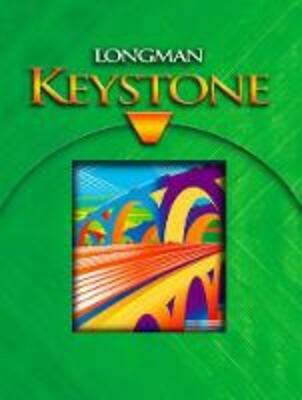 For more information about Longman Keystone, including sample units and correlations, please visit http://www.longmanschool.com.